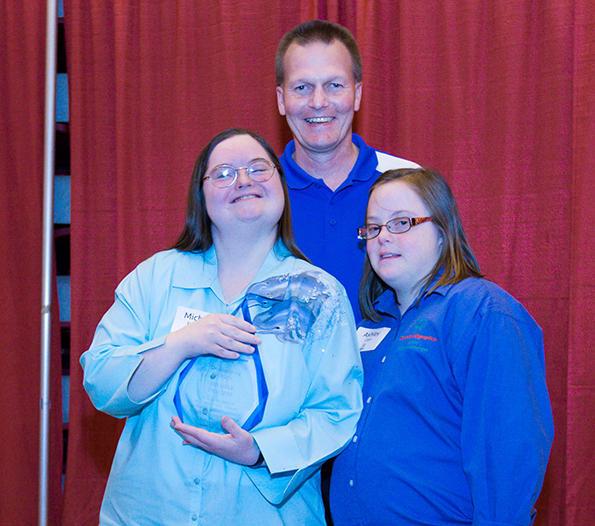 Michele Panozzo, 33, of Rockford was named 2013 Special Olympics Illinois Outstanding Athlete of the Year. She was honored at a reception held on June 14 before the Special Olympics Illinois Summer Games Opening Ceremonies at Illinois State University in Normal. Michele started in Special Olympics in 1988 when she was 8 years old. 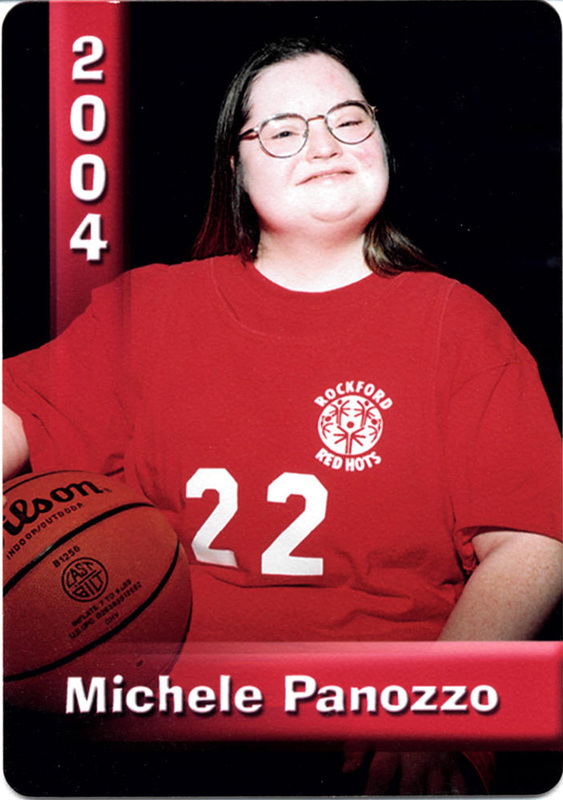 She has been on her current team, the Rockford Red Hots, for 20 years. Michele has competed in a variety of sports during a quarter-century including athletics (track & field), basketball, bowling, softball and bocce. She always displays good sportsmanship while practicing or competing and always gives maximum effort, according to her nominee for the award. After competition, she always has a smile on her face, whether she has just won gold or took last place. The Red Hots team has family outings during the year where the athletes and family members go to sporting events and other activities. Michele enjoys the social aspect as much as the competition. And of course, she loves the dance and pizza parties in the Area and state competitions. Michele works at the Barbara Olson Center of Hope and shows her medals to all her friends and family members during the week. 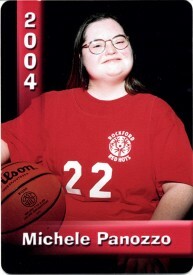 She has made hundreds of friends over the years, which would have not happened without Special Olympics. Michele’s accomplishments include winning more than 100 medals and ribbons, winning the Ron Knisley Spirit of the Games Award twice at the State Basketball Tournament and carrying the torch at Opening Ceremonies at Harlem High School for Northwestern/Area 1 Spring Games.